In 2009, Home Forward added a public housing subsidy to 25 units in this affordable housing community. Building upon our successful experience with implementing public housing subsidy at Fairview Oaks in 2008, the majority of new public housing residents were comprised from rent-burdened residents currently living in one of Rockwood Station’s 195 affordable housing apartments. Improvements as a result of the subsidy change focused on making the site more accessible and adding physical accommodations to some of the public housing apartments for accessibility. This project is part of Home Forward’s special initiative, the Public Housing Preservation Initiative (PHPI), which enables unused public housing subsidy to be applied to eligible units. 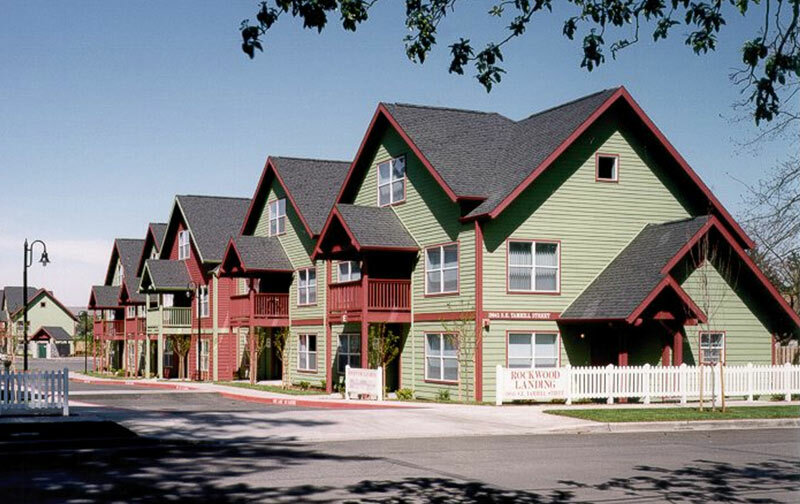 Public housing operating subsidy was applied to two bedroom units to help with replacement of former public housing units of larger bedroom sizes. Home Forward staff specializing in Resident Services increased service coordination at Rockwood Station during Fall 2007, including support for the adjacent Rockwood Landing property.